UPDATED: Tue., June 20, 2017, 3:53 p.m.
NEW ORLEANS – Tropical Storm Cindy formed Tuesday in the Gulf of Mexico, hovering south of Louisiana as it churned tides and spun bands of heavy, potentially flooding rain onto the central and eastern Gulf Coast. The third tropical storm of 2017, Cindy was stationary Tuesday afternoon but to resume moving and reach the northern Gulf Coast late Wednesday and rumble inland Thursday over western Louisiana and eastern Texas. Forecasters warned 6 to 9 inches of rain and up to 12 inches in spots was the biggest threat in parts of Texas, Louisiana, Alabama, Mississippi and the Florida Panhandle. The National Hurricane Center in Miami said Cindy was, on Tuesday afternoon, about 280 miles south of Morgan City, Louisiana – or about 360 miles southeast of Galveston, Texas. It had top sustained winds of 45 mph. A tropical storm warning was in effect from San Luis Pass, Texas, to the Pearl River’s mouth along the Louisiana-Mississippi line. At a news conference in New Orleans, Mayor Mitch Landrieu urged vigilance as bands of rain from the system swept over the city. Forecasts said the system could dump from a few inches to more than 12 inches, depending on Cindy’s development and path. At worst, the storm could flood neighborhoods outside the city’s levee system and cause flash flooding even in protected areas. 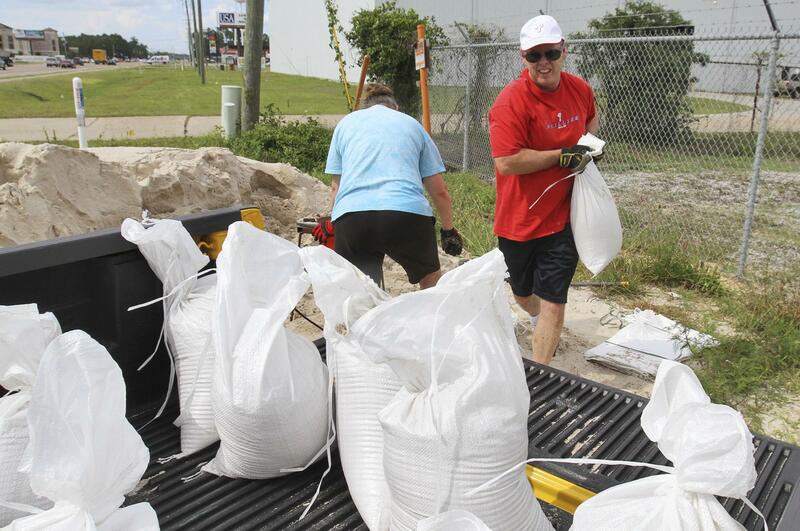 Parishes along the coast made sandbags – or sand and bags – available to people who wanted to protect homes and businesses. “We’ve had so much rain, we haven’t done any business in about eight weeks because of the rain,” said Godfrey, whose campground typically hosts swimmers and boaters. He said the Escatawpa River, at 15 feet, would typically be lower than 3 feet at this time of year. Published: June 20, 2017, 12:59 p.m. Updated: June 20, 2017, 3:53 p.m.